The beautifully colorful subject of a dragonfly in Bali was our inspiration for the photo challenge this week. As I viewed the photo I remember thinking how amazing it was to see one close up. I never have, and didn’t even know they had so many vibrant colors. Well I just got up close to one for the first time in real life. And it was a sad occasion. 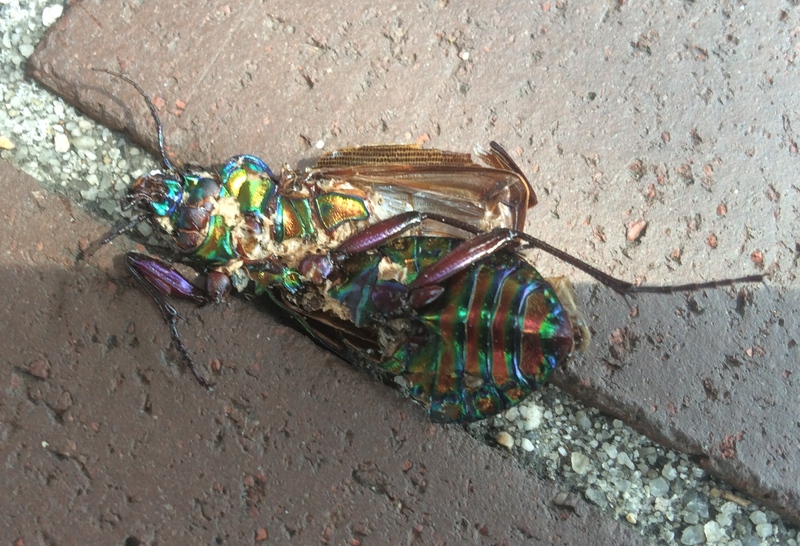 Instead of a beautiful bug in Bali, I have a R.I.P. in Raleigh. Get closer at The Daily Post.